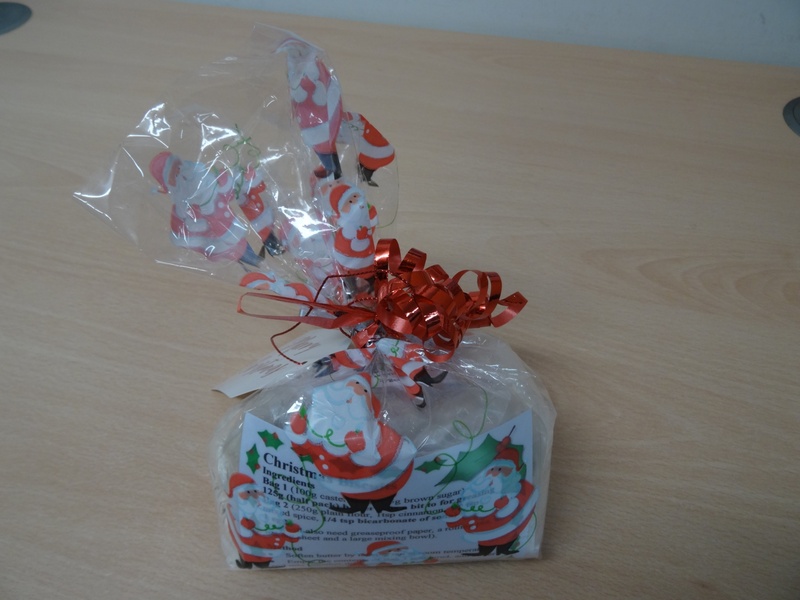 It may be the change in the weather that has encouraged people to buy more of our BHSG tasty ‘soup bags’ in the shop , and we now have our lovely ‘Christmas Biscuit Bags’ on sale again this year. 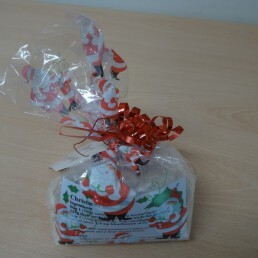 They can be bought to give as a gift or to bake the biscuits at home for yourself. 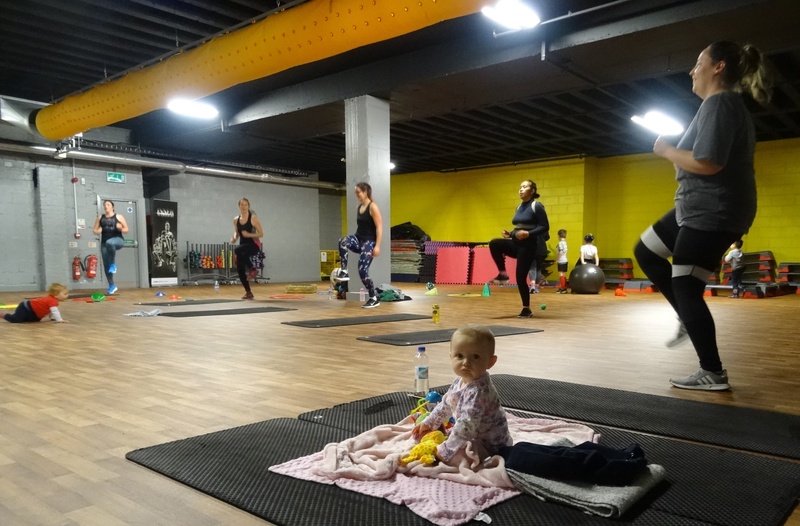 The wild windy weather hasn’t put off people attending our groups either – Our Buggy Gym Mums can use the gym at Gate 55 as well as the great outdoors on Tuesday and Thursdays. 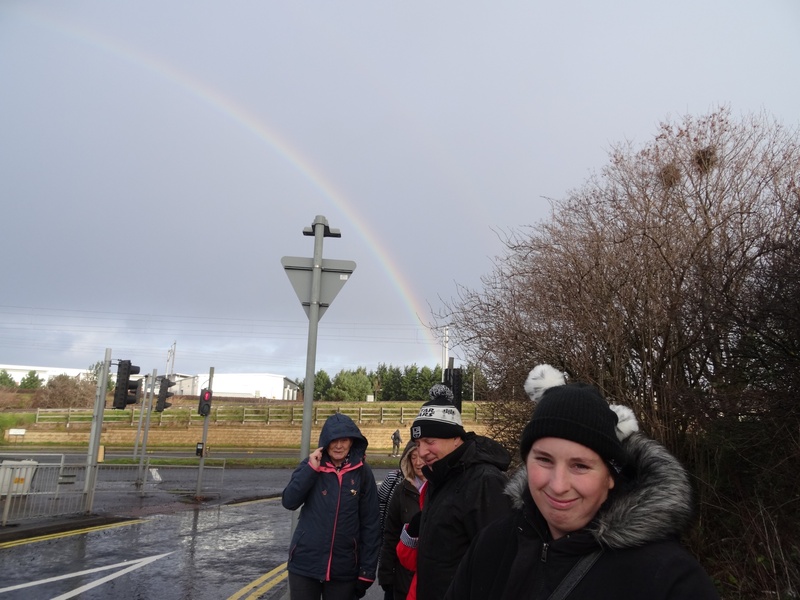 The Monday afternoon DUO is another great warm up alongside the children – who can run off some of their energy in the large E4L gym at Wester Hailes Gym with our Volunteer Childcarers/Playworkers. 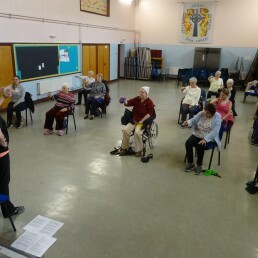 Our service users are keen to get out to us all year round, especially our older adults coming along to Chair Exercise. 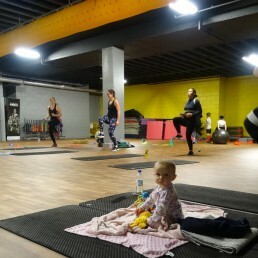 The group have been working hard with weights and the stretchy bands, it certainly warms us all up and tones up those muscles. 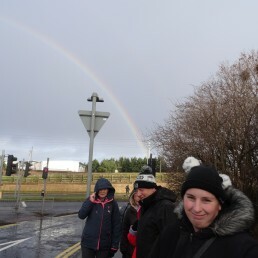 For Walking Groups it is now ‘scarfs and hoods up’ in the wind, but we get the rainbows too. 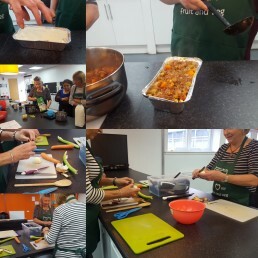 We can thaw out if required with a nice warm cuppa back at the shop or a local café. Adult Cooking Sessions have produced some warming tasty food too this term along with guidance on nutrition and budgeting tips. 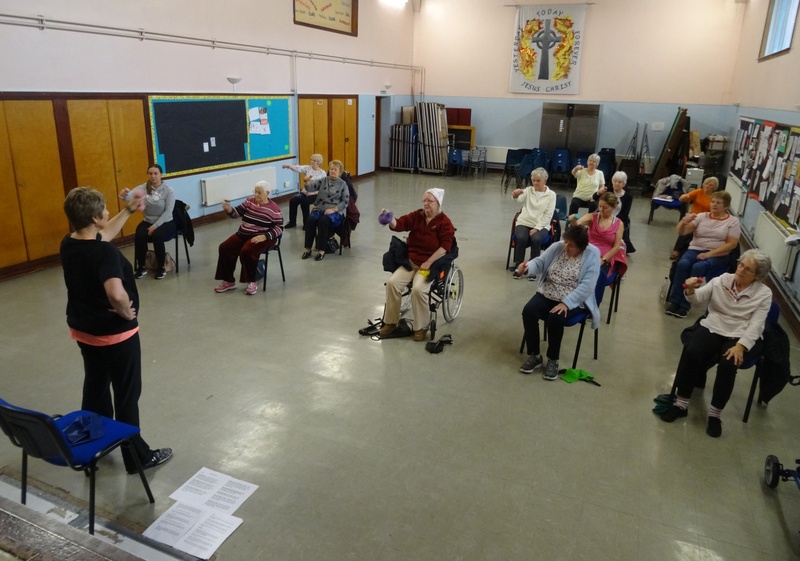 We had a visit to the Broomhouse Primary School ‘Open Afternoon’ to join in with the school children to encourage the visitors to try new afternoon ‘Family Exercise Sessions ‘at the school. The young Sport Rep’s did a great job persuading Parents, and many have signed up to come along.